You may or may not recall that I am a member of something called the Secret Recipe Club. It’s been a few months since I participated. December was simply too busy, so I skipped that month. And then the whole club took a break for January while some changes were enacted. See, the Secret Recipe Club is pretty darn huge, and the administration duties for its founder, Amanda, have been enormous. She and her group of volunteers have done an admirable job keeping the club going. I don’t think she ever realized how popular her little brainchild would be, but there are hundreds of members now. Talk about a blogger success story! This month, I was assigned a blog that I have actually heard of before, although I don’t often read. Meet The Swans is a blog run by husband and wife team Krista and Brett, and it contains a great deal more than food. They post about everything from their home remodeling project to ideas for weddings. Fortunately, the blog also contains plenty of great recipes and I had no trouble finding inspiration. The minute I saw a recipe for Strawberry Rhubarb Crumb Bars that Krista adapted from Better Homes and Gardens, I knew I had to recreate. I adore rhubarb and have had some in my freezer that I’ve been hoarding since last June so that I could bring a little taste of summer into our lives in the middle of winter. This seemed like the perfect opportunity. 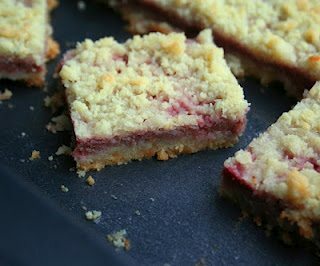 I really should be calling these Rhubarb Strawberry Crumb Bars, as they contain much more rhubarb than strawberry, but that doesn’t quite roll of the tongue as easily. Like Krista, I upped the amount of rhubarb because I love the flavour and tartness, and kept the strawberries to a minimum. I did add a little arrowroot starch to the filling to help thicken it, as the absence of sugar means it doesn’t thicken up as much as the original recipe. Of course, I couldn’t make my version with flour and oatmeal, so I created a crumb-like crust with almond flour and erythritol. I did add a touch of ground ginger to the filling, as in the original BHG recipe, but again like Krista, I skipped the ginger icing because I just didn’t think the bars would need it. The Results: It really is nice to bring the flavours of summer into a dull, wintery day. These bars are lovely and soft and crumbly, with a not-to-sweet, strawberry rhubarb flavour. That said, I do think that next time I would make more filling, as I found the filling to crust ratio a little on the skimpy side. But I am a rhubarb fanatic and I always want my rhubarb desserts to have an intense rhubarb flavour. On the whole, I think these bars are an excellent treat. For the filling, combine rhubarb, strawberries, 1/4 cup water, sweetener and ginger in a medium saucepan over medium heat. Cook, stirring frequently, until mixture bubbles and fruit is soft enough to be mashed with a spoon. Remove from heat and stir in stevia extract. Sprinkle with xanthan gum and whisk quickly to combine. Let cool until thickened. For the crust, preheat oven to 350F and grease an 8×8 inch pan. In a large bowl, combine almond flour, sweetener, and salt. Add butter and stevia extract and cut in with a pastry cutter until mixture resembles coarse crumbs. Press half of mixture into bottom of prepared pan and bake 12 to 14 minutes, or until edges are just golden brown. Spread filling over bottom crust and sprinkle with remaining almond flour mixture. 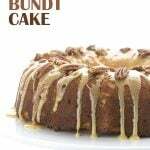 Bake 20 minutes, or until topping is golden and filling is bubbly. Cool in pan. Makes 16. Each bar has a total of 5 g of carbs and 1.7 g of fiber. Total NET CARBS = 3.3 g.
I'd like a dress in the pink color of these bars! So pretty. Your conversion of these to gluten-free is worthy of a standing ovation. There's lots of chemistry and know-how going on in your kitchen. I have yet to try rhubarb but I've no doubt that your bars were scrumptious. Really pretty treats! And definitely add a little summer to the kitchen. I have rhubarb in my freezer too and I love that I could make these for my allergy plagued daughter by just changing out the butter. I am saving this recipe in my need to make file. Delicious! I had strawberry rhubarb ice cream at a famous steakhouse earlier last month and it was divine. My older kids has been asking me to make rhubarb dessert. This sounds like a great recipe to try. Thanks for sharing. These look great! Love rhubarb. want want want, you have really made me want these! Preggo craving. Looks super delish! I have never cooked with erythritol but it is in Stevia and that is okay. I love rhubarb too. I can't wait for it to start popping up so I can try these! Great recipe for the first SRC of the new year! I forget about rhubarb I need to use it more often. Beautiful bars, and I bet equally as delicious! Great pick for SRC! So pretty! And my mouth is watering just thinking about these bars! So, I'm no usually a rhubarb person, but I can't stop looking at these pictures! 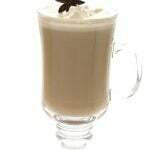 I am dying to try one!! Especially with all that crumbly topping!!!! I agree – I love eating bright and colorful salads in the middle of winter for the same exact reason! And rhubarb and strawberries are one of my favorite summer combinations! I am beginning to love rhubarb more and more! I love rhubarb! 🙂 Great to see it wasn't forgotten. These bars looks delicate and tasty! I love rhubarb. These bars look beautiful! These sound so great… We don't get rhubarb where I live, but I have heard such wonderful things about them… Hope I get my hands on some somehow so I can try these awesome recipes I see… Great post, Carolyn! These look great! 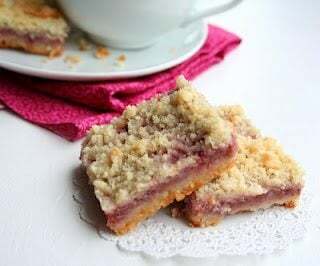 I love strawberry crumb bars, I made them the first time last summer, and want to eat them again now! Love SRC! I love the idea of including rhubarb here. It's such a great ingredient and makes these just that little bit unique – they look really wonderful. OMG! one of my faves.. I cant help my self looking those delicious desserts.. I looooveee your blog! these bars have ther loveliest shade … great job converting the recipe! Ah, those do look delicious. I didn't realize that it was the sugar that thickened things up, but figured the cornstarch or whatever that was added would do it. Arrowroot sounds like a nice natural way though. Beautiful and delicious bars! 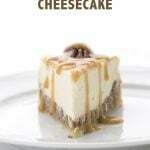 Great recipe and photos make my mouth water! Have a lovely day sweetness!!! I love strawberry-rhubarb anything and these look amazing! Hard to believe they are low carb. I will have to try! You've done it again! 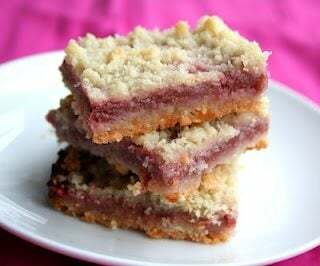 What an amazing SRC post…I'm a sucker for fruit and crumb bars and strawberry rhubarb sounds like an amazing combo! I have a deep love for rhubarb! Yum! My husband is from New England and loves rhubarb! I''ll have to make these for him – they look scrumptious! Gorgeous treats! Now I need to find rhubarb :P.
It's been a long time since I've had rhubarb! When I was a kid, I used to eat it raw from my grandmother's garden. Love it :). And strawberries are always a good match for rhubarb! The bars look delicious! Carolyn these look really yummy. I must try these for hubs. Golly, I haven't had rhubard in DECADES!! I remember it being very tart out of the garden. These do look good. If we ever get rhubabr in the deep south, I will have to try these. rhubarb and strawberry is such a happy combo in my belly! I saw some rhubarb at the store the other day. Now that some of my friends are going gluten -free I have many more excuses to try these. yum! I love the idea behind the SRC. I am so happy you participate. Each month I seem to find new blogs from the postings. This looks like a delicious recipe. My husband would love it. These do look great, I will have to get some rhubarb as i live where almost all of the worlds rhubarb is grown! Thank you for this recipe 😀 Its amazing! Tho i did tweek it slighty. I ran out of sweetener so i put sugar free blackcurrant jelly powder in the fruit. Came out amazing when cooled. The gelatin kept the fruit firm and lovely 🙂 Also used a cake tin and cut into 8 triangles as i didn’t have a 8×8 pan lol. These bars were very tasty! My first attempt at baking with rhubarb. My bars didn’t really turn out like bars though….more like a pudding! Not complaining, the pain disappeared quickly. I made these, but they were pretty soggy even after baking. They certainly wouldn’t have stacked nicely like the photo! Any thoughts? Wondering what kind of almond flour you used? I used Honeyville. Now that I’ve done more of your recipes, I think they just needed more time. maybe try cooking the rhubarb filling a little longer to get some more of the moisture out. mine came out soggy in the middle pieces as well(no one complained) but the edge pieces came out ok like bars. i made these today and my family devoured them!. i didn’t have strawberries so i used all rhubarb, added some sliced almonds to the top before baking and a little bit of almond extract to the batter. delish is an understatement. i cut the pan into 9 squares, 4 ppl finished them in one setting. the batter almost tastes like sugar cookie dough before you cook it. i caught myself eating some of the dough before i baked it. so yummy. Finally tried these and they came out awesome!! They didn’t appear to hold together at first but did once in the fridge overnight. I waited until the next day to cut them. Baked them for longer too. Probably for 35-40 minutes. Delicious with some keto vanilla ice cream. Not sure about the water measurement. 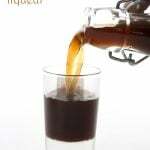 Do we add 1/4 cup plus the 2 teaspoons to the filling or 2 teaspoons water added somewhere else? The directions say 1/4 cup water for the filling. Can frozen strawberries be used……no sugar, just berries? Sure but they tend to release a lot more liquid so I would thaw and drain first.